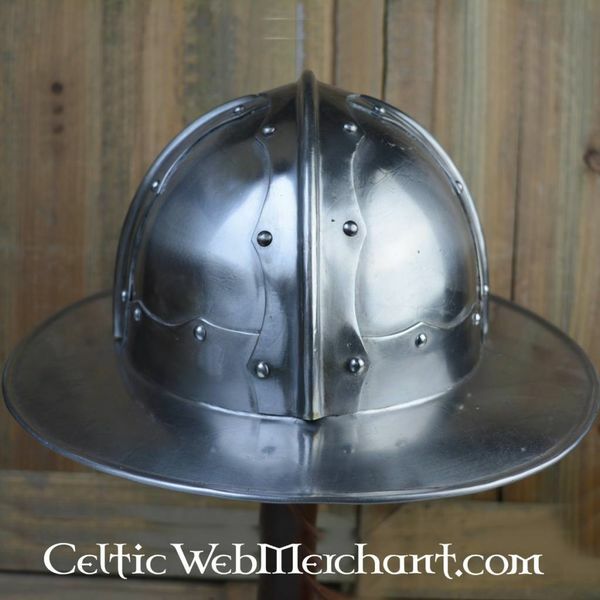 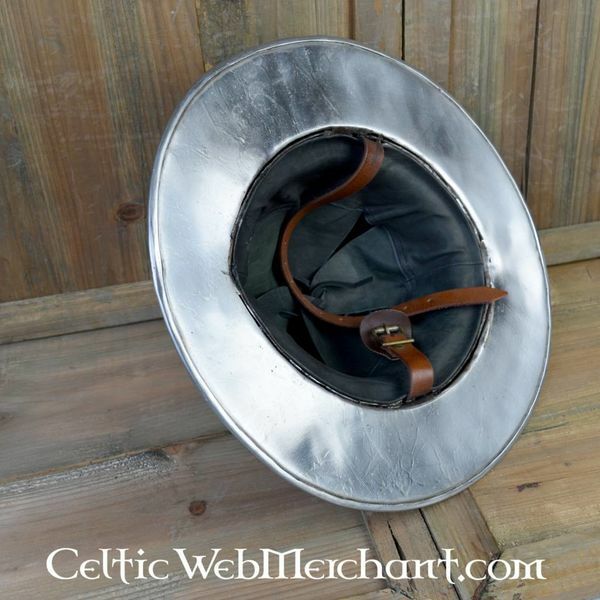 This medieval kettle hat is a replica of an Italian original from 1460. 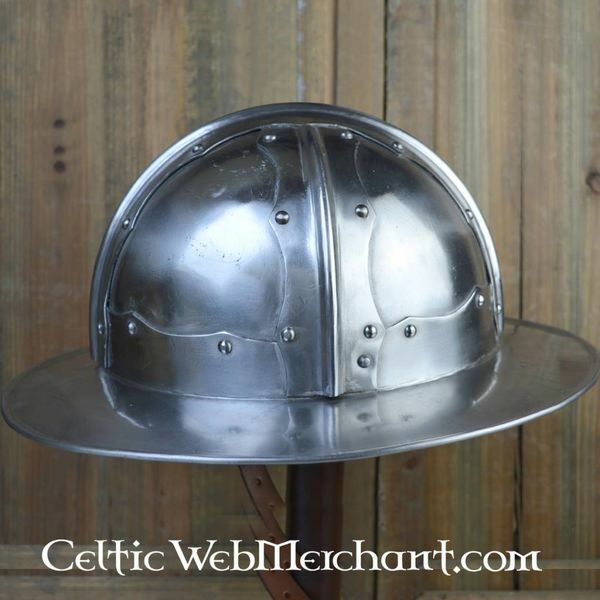 Kettle hats (chapel de Fer) like this were worn all over Europe from the 14th century onwards. 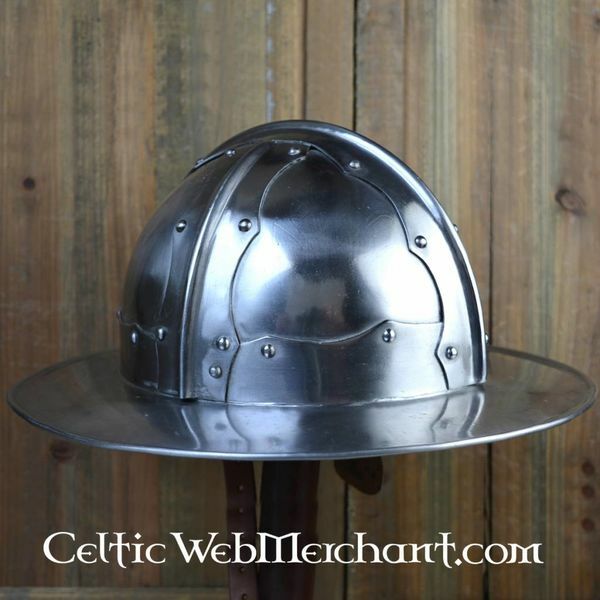 This type of helmet was popular among regular soldiers and aristocracy. 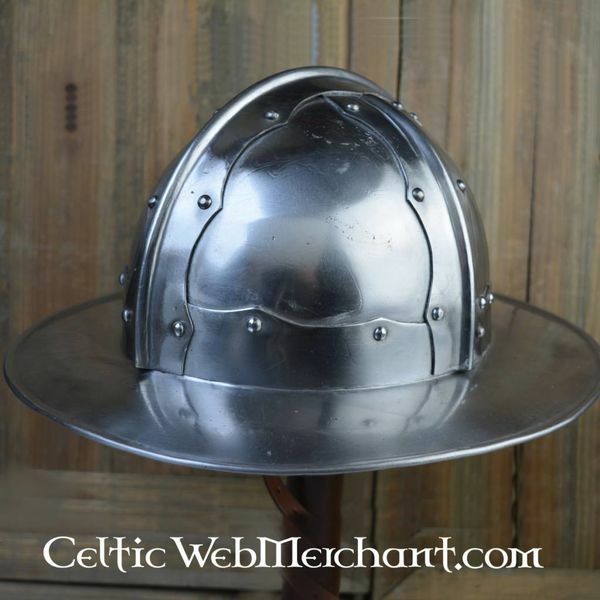 The edge protected the head from projectiles, therefore it is called Sturmhaube in German. 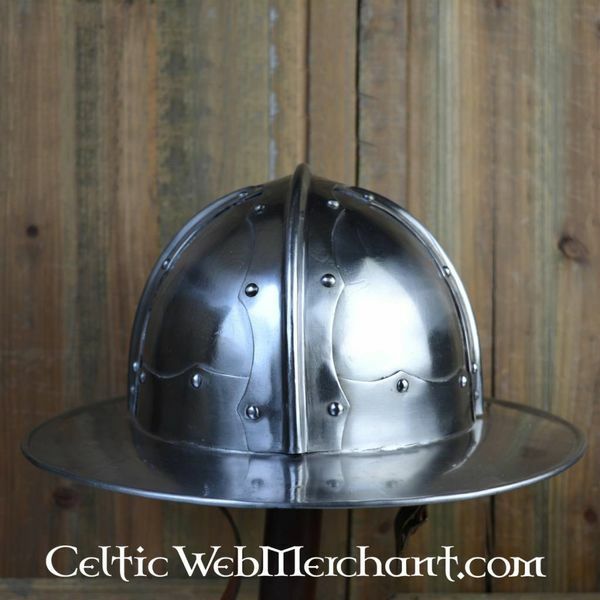 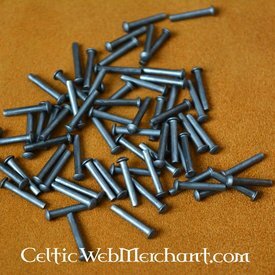 This helmet is made of 1,6 mm steel and has an adjustable leather inlay.